We've been following the progress of the Bloodhound SSC supersonic land speed record car for a while. Last fall, it managed to complete some successful test runs. With those out of the way, the next step is the record attempt. The group behind the car announced that it will make an attempt in the fall of 2019, probably between October and November. The car itself will be shipped down to Northern Cape, South Africa, next May in preparation for the attempt out in the desert. Once the car arrives in South Africa, the group plans to keep it there up until the attempt and to work on it there in an effort to keep things simple, and potentially more affordable. The desert near Northern Cape was also selected because, according to the team, the surface will be in good shape after some seasonal flooding. For those who haven't kept up with the Bloodhound project, the team is attempting to hit 1,000 mph on the land. This is considerably faster than the current land speed record of over 760 mph. 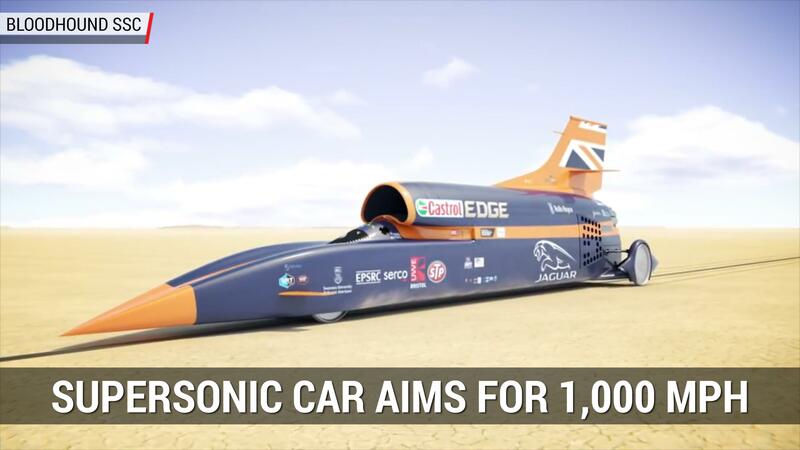 To hit this speed, the car will rely on a trio of rocket engines. The project's press release also mentioned that a couple of suppliers have gone into receivership, and asked for the forbearance of those following the project: "There have been many false dawns over the life of the Project and we have, regrettably but unavoidably, tested the patience of our friends, supporters and team." But it also hinted at the possibility of a major new funding source that could be a "game-changer."